« LED Bullet Turn Signal Insert Kit To Replace Harley Original Equipment Incandescent Bulb And Reflector. Published by Cyril Huze May 19th, 2016	in Builders, Editorial and Events. 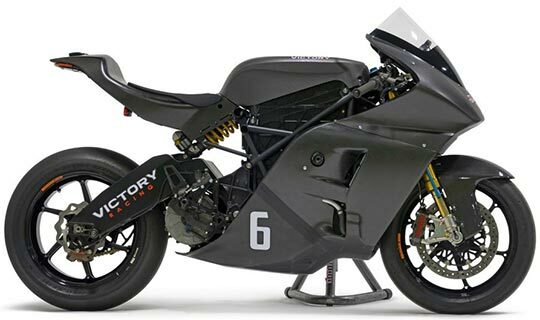 Victory Motorcycles is returning with the Victory Racing team to compete in the Isle of Man TT Zero race with an all-new electric race bike called the Victory RR. The Victory RR has been developed over the past year using data gathered during last year’s TT Zero and will be ridden by William Dunlop. 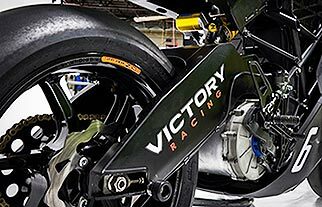 Victory’s international R&D development program is well underway and the Victory RR bike serves as a test bed for technology that will be used in the brand’s future products. Some enhancements have also been made to the electric motor. Developed in partnership with Parker Hannifin, the motor is called the Parker GVM. It boasts world-class specific power (the power to weight ratio), producing a peak of over 170hp from a package that is only eight inches in diameter and five inches long. With peak efficiencies topping 97 percent, it is clear to see why Victory gets excited about the potential of this powertrain for future products. “Compared to the electric motor we used in the TT Zero event last year, this year’s version features an even further optimized winding configuration based on the data gathered from last year’s bikes,” Wismann says. “Coupled with the increased energy on board in the battery, William Dunlop will have access to more of the power available from this motor than in 2015.” Visit Victory Motorcycles Racing At Isle Of Man for more information. Electric race is only on one lap? Before I noticed the Victory name on the swing arm I thought I was looking at another Buell bike.This bike could use a hot v-twin motor to entice some of the sportbike riders over to Victory. Oh yeah! Victory needs to build this bike for its customers. At 170 hp and battery tech getting better every year; this could be the electric superbike for the masses. The size of the electric motor is awesome! The Empulse is just too small. Might make a good little in-city runabout but not a 200 mile day ride. The bottleneck is always the same with electric cars and bikes; battery life until needing a recharge and then how long it takes to do it. A 60 mile limit just won’t do. One lap = 37 some miles. That is a good looking sportbike. Warmed over Scout/Octane engine would be a cool match. Interesting they went to a trellis frame. When can I buy the street version? If memory serves, Victory had an electric race bike at The Vintage Festival in Alabama about three years back. It easily won the race it was entered in.Not sure what class it was in but the race was average length. Pretty cool to see but weird to see a race bike fly by without engine noise. They had an electric bike at the demo ride in Vegas last week, that bike was “small” oh well!! !